Just when I think there's nothing more I could possibly add to my ever expanding Links page, I'm proven wrong. So, I've uploaded a dozen more, all easily recognizable due to the ** next to their shiny new entries. Okay, you've probably never heard of Tom Jackson—I know I hadn't, at least not before he wrote me a note the other day, commenting at length on my Al Wiseman tribute from last year. Turns out Tom was a good buddy of the famed Dennis The Menace artist—and a cartoonist himself as well. Oh, he didn't do comics, or newspaper strips, but in his 72 years so far, has managed to dream up some swell single panel gags, goofy greeting card illos, and similar laugh-inducing line drawings. Factor in some nifty stories, told by someone with a lifetime of experience and served up with a lively helping of wackiness, the sort you'd expect from an artist long obsessed with drawing silly pitchurs, well, you've got yourself one folksy, fun, and friendly Internet destination, believe you me! There's also a fine tribute to Lois Lane artist supreme, Kurt Schaffenberger to be found, and ones spotlighting several newer artists as well. Go. Look. But, um, don't be confused by what may appear to be some poor alphabetizing on my part. For reasons neither Lynn nor I fully understand (okay, okay--let's be honest, I don't understand AT ALL), when I try to insert fresh names onto my list, there are certain places that, try as I might, as I type new inductees into the Hembeck Hall Of Hits, the link from either above or below stubbornly take over, not allowing the new link to take hold. So, in several case, I've had to...approximate the proper location of said name. At the very least, I do my very best to keep that all important first letter in its proper place. Lastly, there was a fellow I saw on TV last night. He was talking and talking and talking, and then, midway through, he mentioned something about a website. He seemed like a nice enough guy, so I thought, gee, I might just add his site to my links, too. I figure, hey, maybe he'll notice and do the same for me, y'know? I hear tell the Dibny's have been having a rough time of it lately. Huh. Funny thing, I've just recently been reading the third volume of DC's Silver Age FLASH ARCHIVES, and while today's readers have borne witness to the unspeakable acts that have torn the Elongated Man's marriage to his beloved Sue asunder for now and (presumably) all time, I'VE been blissfully wallowing in their more romantic beginnings, reading about the exciting—and, ahem, decidedly G-rated—events surrounding their now long-ago honeymoon way, way back in 1961's FLASH #119. So don't look for me to complain about the tawdry goings on in IDENTITY CRISIS, not when I can so happily bury my head, ostrich-like, in a deluxe, over-priced reprint volume! And believe me, the thrill of rediscovering comics I first read over (gulp...) four decades ago can be quite the rush--especially as this compendium features the very first issue of FLASH that I ever picked up off of the newstand, number 122 , also from 1961. Turns out I did one of my Classic Cover Redos of this very issue several years ago, and reading this issue again prompted me to do one of my snazzy little write-ups about it. I'm gonna post it over in that recently all too moribund area of this site in the next day or so, and I'll be sure and tip you off to its appearence so that you can zap your way on over to learn a smidgen more about the debut of one of the more minor members of the Flash's famed Rogue's Gallery, the Top. But right now, there IS one particular—and peculiar--aspect of the lead story that I'd like to deal with here. 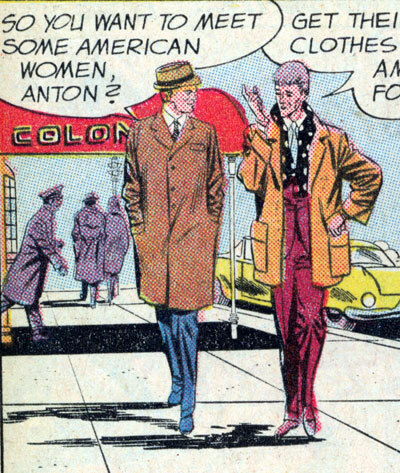 Specifically, Anton Previn, who had the distinction of being the very first gay character I'd ever encountered in the pages of a comic book. WHOA! “The Flash has to GET BUSY”?? Oh, wait—that phrase didn't quite mean the same thing back in 1961, did it? Whew. 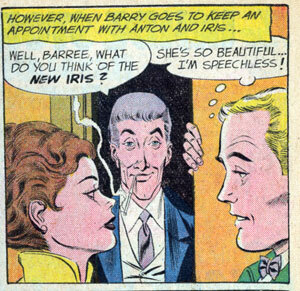 And that, friends, was the very last we readers ever saw of Barry's old friend, Anton—AND it was the last time I saw any vaguely homosexual characters in the pages of a DC Comic for many a year. But it wasn't all that long after that Little Freddy picked up a copy of SUPERMAN'S GIRL FRIEND, LOIS LANE#26, and had his first encounter with the joys of cross-dressing! It's no secret that I'm a big fan of the comics medium. And one of the ways I've chosen to share my affection for the field is with my ever-expanding Comic Arts Links page. Then, in months past, we learned of my undying allegiance to those four lovable mop tops, and in an effort to spread the word, I subsequently posted a semi-comprehensive page spotlighting the crème de la crème of Beatles Links. Stand-ups, sitcoms, silent era clowns, and modern day rep companies—I love 'em all! If they make me laugh, well, then they're all right in my book! And, as it turns out, they're on my website as well. That's right, lazies and gents, boys and churls, allow me to introduce you to Hembeck.com's all new, chucklicious Comedy Links page! 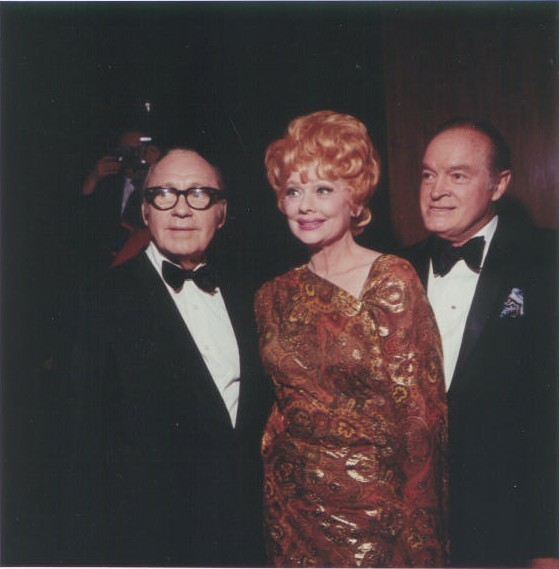 Jack, Lucy, and Bob—together again. But besides that trio of bona fide legends, you'll find some new favorites as well, such as the hilarious Jim Gaffigan, the passionate Lewis Black, and fellow comics' geek Patton Oswalt. Fact is, I tried to include as many comedians—or sitcom personalities (like the Professor and Mary Ann)--who boast their own sites as humorously possible. Fred's flashback de jour, featuring a delightful drawing most likely unseen by most of you and done by arguably the most famous artist to emerge the legendary EC Comics bullpen, and set into motion by one of the world famous Web-head's current scribes, more properly belongs over on my companion Beatles blog, but you comics fans can check it out utilizing the link above to satisfy your own curiosity. 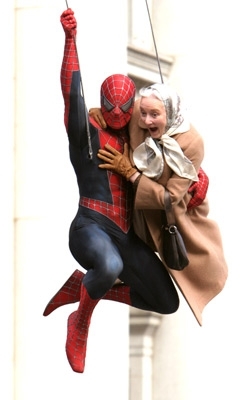 Yeah, that's right--we went to go see "Spider-Man 2" last week. I made a concerted effort to walk into the theater totally oblivious of what was about to unspool up there on the big screen after I'd paid my—ouch--$8.50. Oh, sure, I knew Dr. Octopus was the villain de jour, but beyond that, I conscientiously avoided reading any and all previews and reviews of the film, watching any of the commercials that permeated the tube in recent weeks, or checking out any of the tantalizing clips the primary cast members brought along with them whilst on their inevitable tour of the talk show circuit. Don't misunderstand me. Despite what you may think, I'm not someone that gets all excited at the prospect of running out to see the latest comic book movie. If such was ever the case—and yeah, admittedly, maybe there was a time--well, the third Batman movie surely cured me of THAT! In fact, there's a whole handful of funnybook based films, both big and small, that I've never got around to seeing quite yet. Some—like the second X-Men and the Hulk ones--will in all likelihood eventually get the once over. Others—like the FOURTH Batman one, the two (soon to be three) Blades, LXG, and “Hellboy”--most likely never will. Hey look, as a rule, they usually don't come close to capturing their pulp paper source material with any true degree of heart--AND are often lousy movies in and of themselves, anyway. So, until Spidey 2 became imminent, I hadn't looked forward to taking in a specific super-hero film in years. Heck, I didn't even look forward to Spidey 1! After it was out about a month or so, and hearing surprisingly decent word-of-mouth, I cautiously went in with only the lowest of expectations, and came out delighted with witnessing what I then considered—after the initial Chris Reeve Superman flick—the best cinematic interpretation of a costumed character in the annals of the silver screen. Incredibly—or perhaps, more fittingly, amazingly--”Spider-Man 2” WAS better than its precursor! I'd even be willing to state for the record that it's superior to my long-time sentimental favorite, the aforementioned “Superman The Movie”! And why not? The filmmakers had the richest source material in all of super-herodom to draw upon, very intelligently cherry-picking some of the most memorable moments from the immortal first hundred Lee/Ditko/Romita issues, spotting them judiciously throughout an exciting yet emotionally charged scenario. Perhaps most importantly, the villain was, simply stated, better. WAY better! In the original, I was dually disappointed in the cheesy looking costume and the over-the-top portrayal Willem Dafoe utilized as the Green Goblin. In contrast, Alfred Molina made his characterization of Octavius's startling metamorphosis into the marauding Dr. Octopus a believable one, at least in context. And oh, who would've ever thought that the once-seemingly impossible to realize visual presentation of an adversary sporting such a complicated set of abilities would be brought to life so convincingly and vividly? I've never been a big special effects guy, but I couldn't take my eyes off of Doc Ock, particularly during the magnificently staged fight scenes. More often than not, even in the best the genre has to offer, I find the battle sequences ultimately tiring, and usually generic, regardless of the hero. Not this time. Uh uh. There were no “cheats”—we saw EVERYTHING! No quick cuts, no tussles hidden under the cloak of darkness. All the action was shown clearly and without relying on any shadows to hide technical shortcomings. Honestly, I'm far from being any sort of expert on CGI, but it appears to my unschooled peepers that the computer generated material was more smoothly integrated with the live action sequences than in the first film. And all those classic moments—Spider-Man no more, lifting the massive chunk of debris heroically off his back, even reviving that somewhat specious Aunt May-Doc Ock connection! Well, at least there was no marriage proposal involved! And the term “tiger” slipping out of the lovely lips of Mary Jane, and those wonderfully Stan-like moments such as Spidey on the elevator and Peter at the laundromat—they were all there, along with a plethora of iconic Ditko/Romita poses that seemed to magically spring to life right up there on the big screen! Wow! It was almost enough to bring a tear to this ol' fanboys..sniff..eyes! Yeah, I loved “Spider-Man 2”, absolutely loved it. From the exquisitely realized opening pizza delivery sequence and on through such minor but nonetheless inspired touches as a street musician's unique rendition of the hokey but hallowed cartoon theme song, it all worked for me. Julie liked it. Lynn, too. I sometimes get complaints from the family that I only ever drag them out to see comic book movies, but I counter that not totally unjust accusation by saying, yeah, but only the really, really good ones! So yup, you guessed it--no way I'm killing the good buzz of Spidey 2 by even CONSIDERING a trip to the multi-plex to witness the abomination that is sure to be “Catwoman”! That's one I'll be sure to give a miss—AND a hiss! Just got a raging case of the mid-summer blahs. Happens every year around this time. Don't feel much liking writing, is all. Even about the greatest comic-book movie ever (and since "Catwoman" hasn't been released yet, you probably have a pretty good idea which flick I'm talking about...)--maybe in a few days, okay? Got some other nifty things planned for the site coming in the immediate future, so stay tuned. According to Julie, as obnoxious as this knucklehead may've been to her while they were in class, he saved his most egregiously venomous moments for the hallways. Seems that whenever he saw Julie near her locker, he'd delight in cruelly calling her “retard”, and spewing out every swear word from "A" on up to "F" in her direction. Not one to take this sort of treatment quietly, upon occasion, she'd misguidely attempt to put an end to his taunts by utilizing logic, such as the time he called her "stupid". She defiantly pointed out she was in two Honors classes, and that was two more than he was in, but he wasn't listening—he just called her a liar, and said, "Y'know what--they were really just Special Ed classes", and walked away laughing. ..and then just kept right on walking, only taking the time to glance over her shoulder briefly to witness the now speechless creep, his jaw figuratively dropped all the way to the floor. Now, please understand, friends, I'm not one generally enamored with the noxious notion of such crude bon mots emanating from the mouths of today's youth—where ever could she have heard such tawdry terminology, I wonder? WHERE? Shocked! I tell you, I am absolutely and positively SHOCKED! !—but sometimes, let's face it, to get through to certain people, you've got to get down and dirty and speak to them in the only language they understand. And getting in the last word—no matter how salacious--has GOT to be tremendously satisfying, turning an experience that might otherwise haunt one for years and years instead into a moment of triumph! Huh--I never imagined I'd one day be so very proud of my daughter for using words that, during MY school days, would've gotten Lenny Bruce thrown right in the slammer! Way to go, Julie girl! I probably SHOULD provide a link to Mark Evanier and Steven Wintle, though. After all, they're the guys who found most of these nifty sites in the first place!! You all know about Mark, I'm sure, but let me once again go on record heaping praise onto Steve's Flat Earth page. He not only covers a wide variety of cartooning topics with a fine combination of intelligence and enthusiasm, but he has the amazing ability to haunt the nooks and crannies of the net, discovering all sorts of hidden gems! Like, yup, those aforementioned Superman stories--AND legendary Donald Duck, Mickey Mouse, and Calvin and Hobbes newspaper strips as well! Wow! I don't know how the heck he does it, but I'm sure glad does! Yes, yes, Yankee loyalists--I know all about the 26 World Championships, about the team currently having the best record in baseball, and the biggest lead over their second-place runner-ups. And yeah, I know that while this is the first time Piazza and company have taken the season's series from their crosstown rivals, it was merely by a 4-2 margin, and not the clean six game sweep engineered by the Bronx bombers last year. One can only hope that the momentum gained from FINALLY beating George's boys--particularly the pair of exhilerating seesaw contests on the weekend that saw my Metsies emerge triumphant 10-9 and 6-5--will carry over and, in a matter of nights, propel them amazingly into first place. As the man once said, "Ya Gotta Believe!" ...from Mr. Rogers and me! Okay, okay—I never said it was my favorite Brando flick. 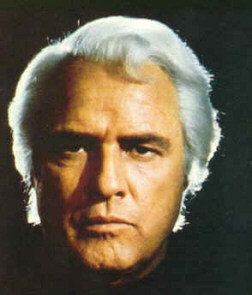 Fact is, I love that movie in SPITE of the producers misguided insistence on such dubious stunt-casting, lining up the erstwhile Stanley Kowalski to play Jor-El, Superman's doomed Kryptonian daddy. My favorite Brando flicks would have to be the two standards, “On The Waterfront” and, of course, “The Godfather”, both undisputed cinematic gems, and far better showcases for the revolutionary thespian's talents--even if the impending destruction of an entire planet WOULD generally seem to serve as ripe ghrist for heavy-duty dramatics. Y'know, Wood was still alive—if far from being in top form—when “SupremanThe Movie” was initially released. Sadly, the film never received a proper comics' adaptation, but man, couldn't you just picture the one-time EC whiz bringing it to life on the printed page? Seeing him do Super Brando would've been worth the price of admission alone! Didn't happen. Wood died before contract squabbles edited Brando out of the sequel. And now Brando himself has left us. Can't say I was ever a great admirer of the man, though I certainly recognized his talent. As the years went on, he became known as much for his odd behavior and family travails as he did for his early triumphs on the big screen, but when a true legend passes, you're pretty much obligated to stop for a moment, consider why he had that rare appellation bestowed upon him, and—if you're me—figure a way to somehow tie him into the four-color world. Well, I guess THAT mission's accomplished, eh? My not-so-brilliant career as a girl's intra-mural soccer coach came to an end last week, not with a bang, but with—wouldn'tcha know it--the proverbial whimper. For those who came in late, a quick recap. Five seasons ago, my daughter Julie convinced me to heed Coach Pat's pleas for an assistant to help with his team of nine year old girls. Since no other parent stepped forward, and I was most likely going to be attending all the practices and games anyway, I volunteered at her urging, if somewhat warily. I'd never played soccer on an organized team myself, y'see, just messed around with the game in various friend's backyards when I was a kid. And—stop the presses--I'm far from being your typical jock, but y'know, once I got involved, I found the whole experience to be fairly enjoyable. My technique was to pretty much stay quietly out of the way, and just do as Coach Pat asked of me. This guy really knew his stuff, people, so all I had to do was follow his simple instructions during practice, and things were swell. More dauntingly, though, he had to go out of town two or three times that season, leaving the squad in my care on game days, and lemme tell ya, it made for a couple of highly nerve-wracking Saturday mornings, particularly that first one. But—Hallelujeah!--we all made it through, and I pretty much thought that'd be that. 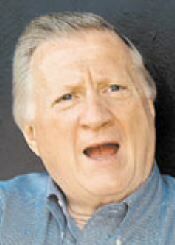 Much to my surprise, however, Pat announced after the last game in June that the NEXT season, he was planning to switch gears and coach his younger son's team. That left an opening on the girls' side, and despite some early protestations, yup, I wound up filling it. It wouldn't last. The teams are reconfigured regularly in the Fall--though I managed to hold onto a core group of players each time. Years two and three saw our records—which, in the non-competitive league we played in, weren't officially kept, please understand—fall to about .500 or slightly below for each season. Then came this year, and the news that Coach Pat was rejoining our ranks—AND taking back his daughter (natch) and her pals, the twins, perenially the three best players on our team. Still, I was able to assemble a decent group under my tutelage—I think it was my tutelage, in the final analysis, that'd leave something to be desired. The kids were getting older, but despite my best efforts, my limited expertise wasn't keeping pace. 0-0 tie, 1-0 loss. 1-0 loss, 0-0 tie (decided by a shoot-out, won by us, 2-1). ...and finally, a 4-0 loss. Let me tell you about the last three games. That'll pretty much sum up the sorry situation we were laboring under. 8:30, Saturday morning. We're facing off against the team that captured first place in the previous week's tournament. And at game time, 9 players have shown up. That's 9 of 15, and two less than the 11 generally required to field a team at this age level. But, the way it goes is, we have 9, they play 9, all in an effort to keep things even-handed. All fine, as far as that goes, but usually it also means the other team has several kids luxuriating on the sidelines, just waiting to go in, as subsitutes for tired players, a perk we rarely if ever enjoyed the latter half of the schedule. Not ten minutes later, the phone rang again. Julie answered it, and quickly realizing it wasn't one of her buddies, soon handed it over to me. My first thought was that the Poughkeepsie Coach was calling me back, but that wasn't QUITE the case. It was the Coach of the East Fishkill team we were pencilled in to match up with THAT Saturday, the second-to-last game of the season. A whole slew of his team was going to be unavailable this upcoming weekend, it turned out, so he wanted to know if we could possibly reschedule the game for the night they had their regular practice sessions. And for all that trouble, what do you think happened the following Thursday? It rained. Oh, not right away. We actually played the first 30 minutes under threatening, but dry, skies. 9 girls showed up—well, 8 plus Julie. See, she had this big, big Earth Science Regents exam early the next morning—her first ever Regents—and she'd gotten a sudden and debilitating case of nerves minutes before the game, and pleaded illness. But I knew I'd surely need her—someone ALWAYS disappointed me by not showing up, and this was certain to be no exception—so I dragged her along, despite her protests. Once there, she reluctantly shlepped out on the field, but her mind was elsewhere. She performed the role of ballast, and all things considered, I was happy—no, lucky--to have her. "And Kelly, now that you and your sister have been made to suffer ANOTHER loss overseen by hapless ol' Coach Fred, just what are you going to do?" "Why, go to DisneyWorld, of course!" So finally, it was June 24th. The day before had been Julie's 8th Grade class trip. School was now done. Over and out. Earlier that very day, Lynn had lined up the annual End of the Year Girl Scout activity for her troop--in this instance, a visit to a local horse farm for some riding lessons. That was scheduled to go from 12:30 until 2:30. After which, Julie's pal Courtney—also a member of our soccer team—came home with us, and I chaperoned them as they swam in our pool for most of the time between 3 and 5 (this seemingly mundane fact becomes important later). After they dried off, they hastily donned their red and black uniforms one last time, and we all headed over to the field where we'd participated in the tournament just weeks earlier. My first miscalculation became evident when two of my girls—including one I felt confident could handle the goal for us during part of the game—informed me that, due the change of starting time and later plans they'd already made, they'd have to leave after the first half! Yikes! So, supplied with this latest bit of information, I trundled up our equipment and dragged it over to the bleachers, there to wait for the rest of my girls to show up. I expected 11. (Of the original 15, the 4 I DIDN'T expect included one who had broken a finger earlier in the month, one who was having some personal issues that had essentially shut her down most of the Spring, and two who were—remember?--frolicking with Mickey and friends in the Florida sunshine). We'd do okay to start, but I was really hoping for one more, so we'd have the minimum 7 to get us through the second portion. Among the most blatantly missing— Assistant Coach Janice's daughter (and, natch, the Assistant Coach herself). One of the moms tried calling her on her cell phone, and we were assured by a third party that they were on their way even as we spoke, so that made me feel somewhat better. My eight girls played the first half tough, and as we approached the 30 minute mark, there was still no scoring. Our less experienced yet gutsy goalie was doing great, but noticing our girls were starting to get demonstrably tired—no subs, remember?--I called out to the ref, asking how much time was left. A minute, she said. So I waited, and waited, and waited. And then, just as the other team snuck past our defense and scored a goal, the whistle was blown to end the half. Huh. Seemed like a bit MORE than a minute to me, but what are ya gonna do? That's just the way our luck went all year. Well, our two early departees were soon on their way, leaving us with but six players. While we could've always borrowed several players from the other team, it had always seemed the less desirable way to go, the two times I'd been forced to avail myself of our opponents help in the past. 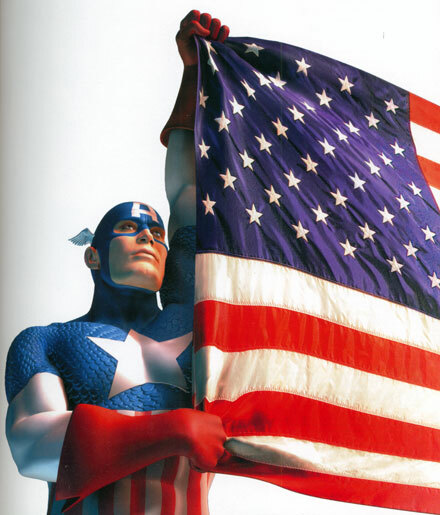 After all, if we were all of a sudden to do well—hey, it COULD happen!--was it us, or was it the reinforcements? Win or lose—okay, lose—the prevailing mood amongst my players remained, let's do it on our own. So, casting aside that option, we had to get REALLY creative. And that's how I ended my alternately illustrious AND ill-fated soccer career with the 16 year old brother of one of my players manning—yes, actually MANning—the goal for the second half! He volunteered, y'see, having plenty experience playing on several organized teams previously. The other Coach didn't object, so the two refs agreed to pretend it never happened, and were even willing to waive the shin-guard requirements—and maybe most importantly, Brianna, who hadn't played goalie in almost two years, but was going to be my last possible alternative (the other two hadn't shown) sure didn't seem to mind these unique turn of events either! Yup, we went out breaking all sorts of rules!! Now, I'm reasonably certain that I told her the right venue, really I am. In fact, just to make sure folks didn't get the various town fields mixed up, I specifically instructed people to go to where we'd had the tournament, since we'd only played there the one time all year, and just a few weeks back at that. But whether she'd been responsible for the mix-up or not, the thing that made me feel rotten was discovering that she'd called to confirm the time earlier in the day while I was out with the horse-riding Girl Scouts! Had I noticed the blinking machine while I'd stopped home during the afternoon, I could've steered her in the right direction, and she—and her daughter—wouldn't've been denied the chance to see the team one last time. Well, we spoke the next day. Luckily, she was understanding, and she came by later to pick up the medallion (and piggy bank, AND box o' candy, chosen 'specially for her). And except for getting the medallions out to a few other stragglers—including the Disney twins—that's it. I turned in my player ratings yesterday, and soon I'll drop off the all the excess equipment—cones, first aid kit, goalie shirt, and assorted whatnot. Am I glad I did it? Yeah, you bet. But maybe, just maybe, I should've quit a year earlier, y'know? That's easy to say now, I suppose. All I know is that NEXT year, I'll be the one receiving a phone call, not the one making a dozen of them everytime things needed rearranging, and I'll be the one having to worry about getting just one player to a game, not the one wondering when—and if—another dozen or so are going to show up before the whistle is blown. Ah, bliss. So, while this may mark the end of the Adventures of Coach Fred, join me right back here in September for the all-new, all-true exploits of Soccer Dad Fred! It was all very simple, really. The kids all showed up between noon and one, they snacked, swam in the pool, competed in a DDR contest (Dance Dance Revolution, for those of you not in the know—just about the only electronic game that keeps you moving and up on your feet, defying the standard image of couch-bound video games), swam again, and THEN assembled at the dining room table, and were each given their own personal head-shaped paper mache pinatas. Having secured her creation to a branch of a tree smack dab in the middle of our front yard, she happily declared the swinging object to be the effigy of her far-far-less-than-favorite teacher, and as the rest of the girls giddily chanted a countdown in unison, Julie reared back, and prepared to get a year's worth of academic aggression out with one mighty swing. Soon after, the party broke up, but everyone seemed to have a genuinely good time exorcising eighth grade demons. All acts were performed in the spirit of good—okay, maybe just MOSTLY good—fun. Remember, no actual teachers or despised classmates were hurt in the execution of this event, and really, folks, isn't that the most important thing? And for all we know, at the very same time, there might well've been a group of teachers gathered in the Faculty Lounge, sticking sharp pins in makeshift Julie and Lisa dolls! Hey, Julie DID complain about a shooting pain in her calf late that afternoon, but at the time, we just figured it was a cramp from swimming in the cold water!